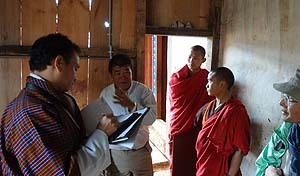 Commissioned by the Agency for Cultural Affairs, Japan, this project aims to understand and preserve construction techniques used to build traditional buildings in Bhutan in particularly rammed earth houses and temples, and to assess and improve their earthquake-proofing and safety. 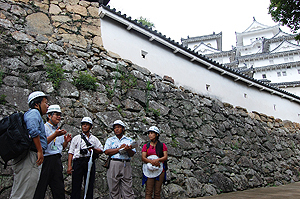 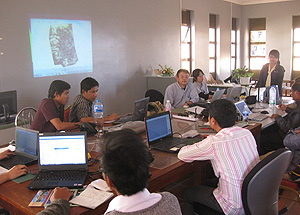 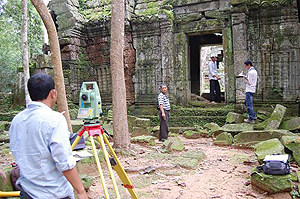 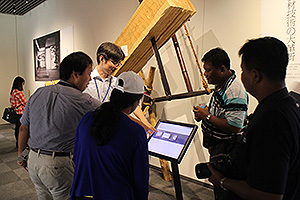 The project began last year with the Division for Conservation of Heritage Sites, Department of Culture, Ministry of Home and Cultural Affairs, Bhutan, as a counterpart, with whom the Japanese experts have jointly studied and tested on building techniques, structures and materials undertaking in such a way research exchanges and human resource development. 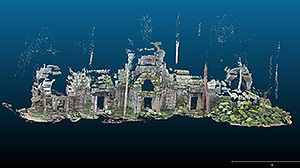 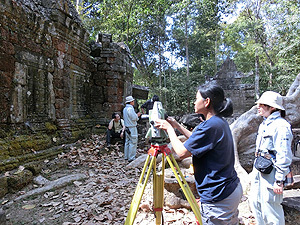 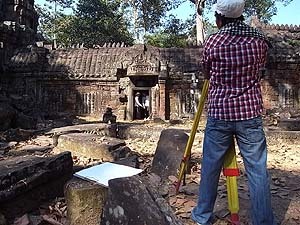 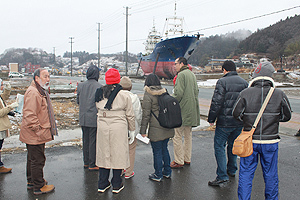 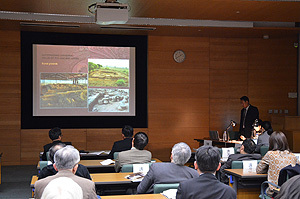 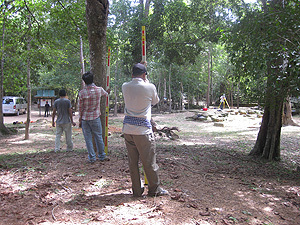 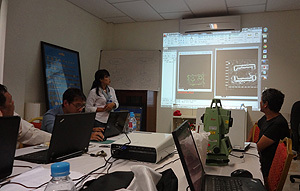 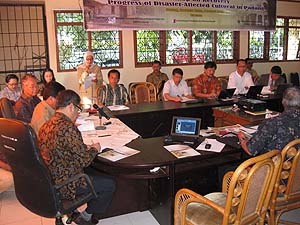 The first field survey this year was conducted from June 21 to July 3 involving 9 experts from Japan. 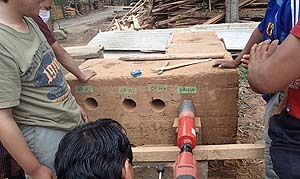 Test specimens of rammed earth for materials strength tests were prepared using traditional construction techniques, as well as construction studies and micro-tremors measurement were conducted at several temples, houses and ruins in the districts of Thimphu, Wangdue Phodrang and Paro. 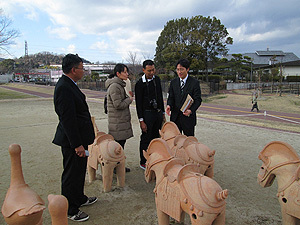 In addition, the experts visited a rammed earth temple damaged by the last earthquake being restored, and sites where rammed earth residences are being constructed. 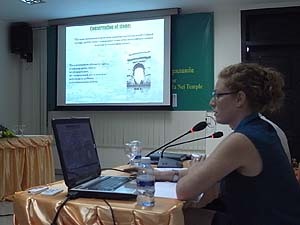 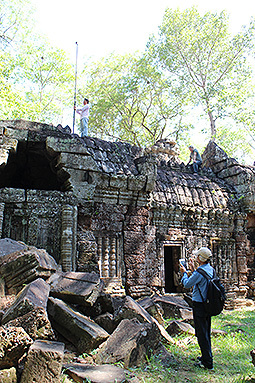 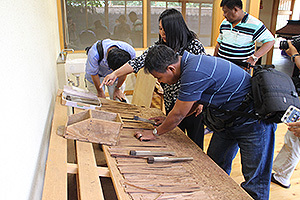 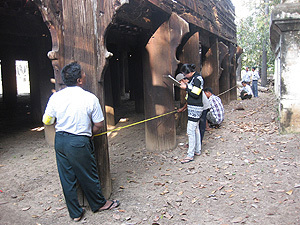 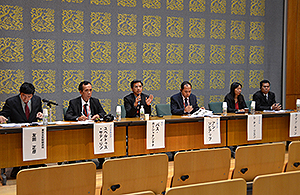 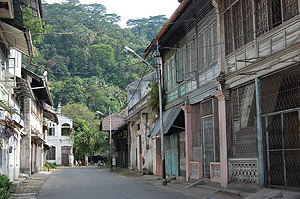 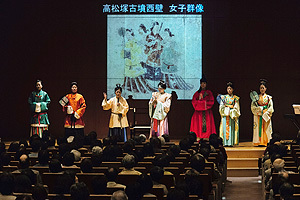 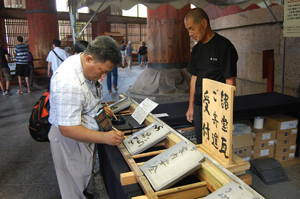 Through interviews with craftsmen, the experts gathered information on the current state of restoration of heritage buildings and construction techniques. 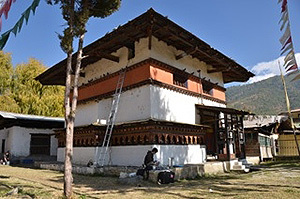 Over the past few years, such traditional buildings have rapidly disappeared from the capital of Thimphu. 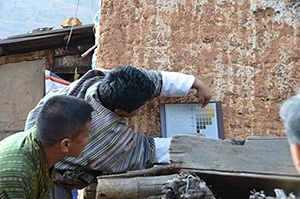 However, the survey also revealed that some Bhutanese wish to somehow pass on the techniques they have inherited from their forefathers to future generations. 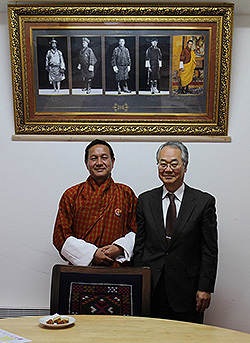 We hope to continue providing technical support and conducting personnel exchanges so that Bhutan can properly preserve those techniques, which represent part of the country’s cultural heritage.